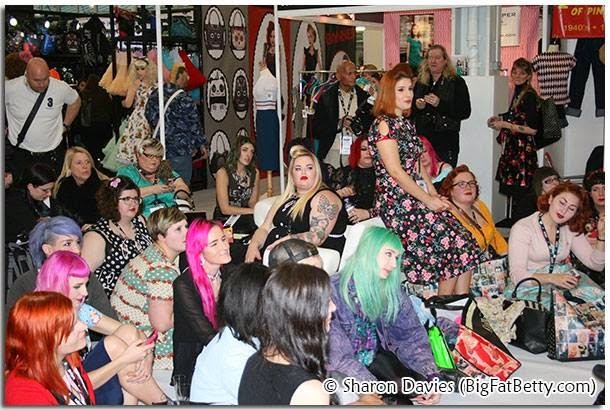 So last month, I, along with a big group of wonderful bloggers had the pleasure and good fun of attending LondonEdge with Voodoo Vixen as their models. 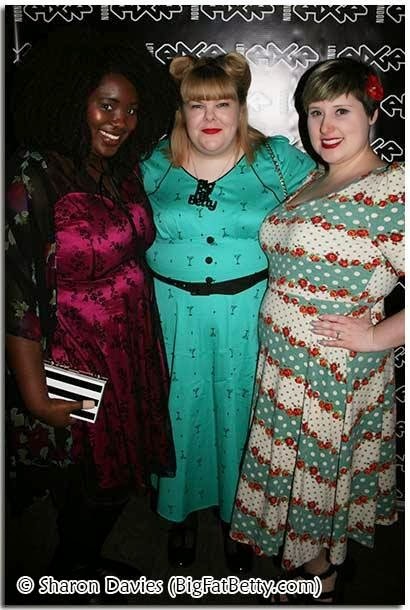 There were so many gorgeous girls of all different sizes wearing the brand's amazing dresses. We each were able to choose a dress ahead of time to wear on the day and I ended up choosing something that I wouldn't usually go for to mix it up. 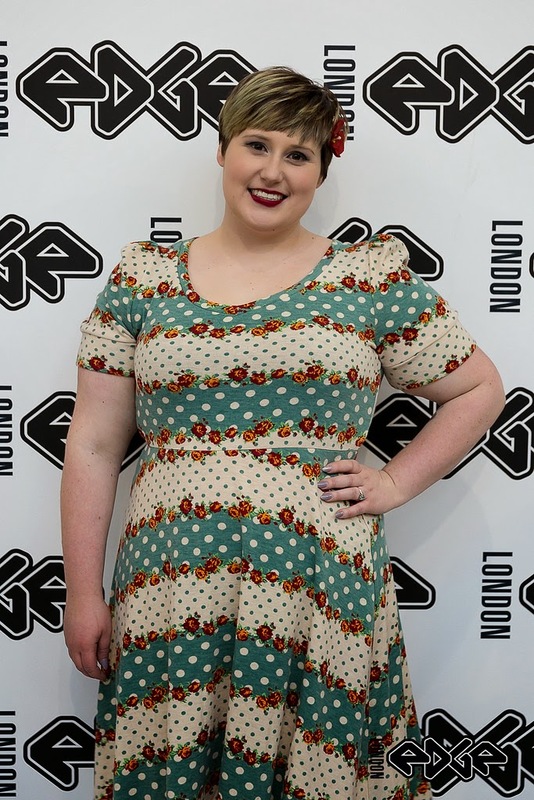 I am wearing the Faith dress which is a lovely and soft knit dress with the sweetest floral and polka dot design. We had our makeup and hair all done up and it felt so nice to look so gorgeous! Thankfully, you can't tell but on this particular day I was coming down with the flu which had me out for the count for the following week so I'm glad I was still well at this point. 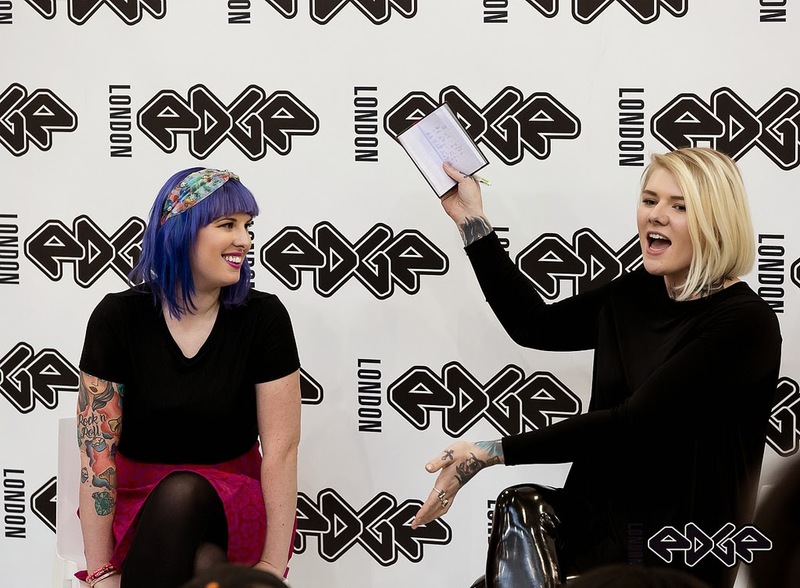 I was so excited to attend LondonEdge because apart from being able to see all the great stallholders and bloggers, there was a blogger talk scheduled with Kat Williams from Rock n Roll Bride Magazine/blog. I have followed her for a long time and when I first got engaged, my best friend in Canada, Sarah, sent me the first print issue of the magazine. Here we all are sat listening to Kat speak. So the day was really great and fun, but the night was even better. We were all invited to attend the after-party as Voodoo Vixen was one of the sponsors along with Jawbreaker Clothing and the party was really something else. The venue was called Gem in Soho and there were live acts, drag queens, great music, dancing and drinks of course. I'm sad to say that although I could have stayed all night, it was at this point that I started to feel ill and had to head home at a reasonable hour. 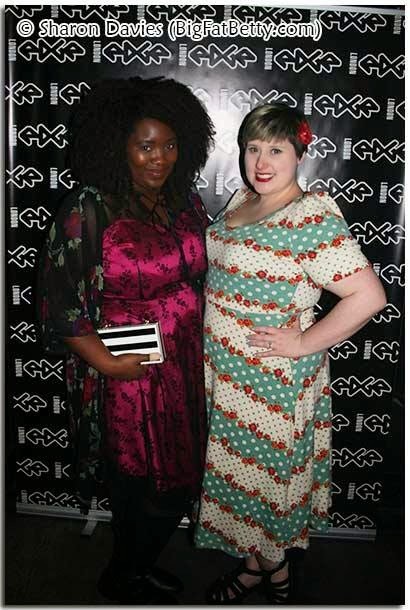 Thankfully, the lovely Sharon from Big Fat Betty had her camera handy and took a couple of snaps for me of the event. I think it's important that I point out how friggin fabulous Abi from A is for Abi looks - OMG! She is wearing the Hattie dress. And here we all are, and Sharon is wearing another favourite of mine, the Marita dress which I featured on my blog here. The music was great and the day and night were a blast - I can't wait for the next one where I will hopefully be feeling up to a full night of shenanigans! Have you worn Voodoo Vixen - do you have a favourite? 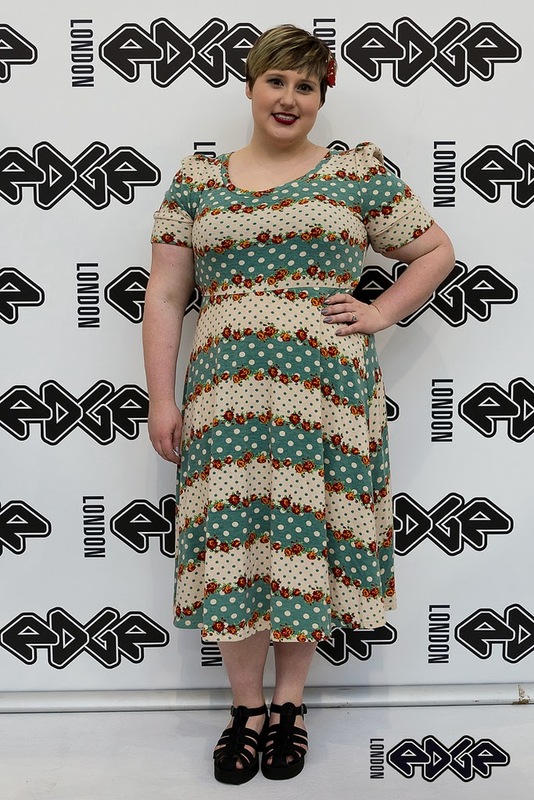 It sounds like their plus size range is going to have lots of exciting stuff coming up so I would watch closely! !